Singer who uses his YouTube channel to showcase his talents, winning a YouTube Music Award for Innovation of the Year in 2013. He was also extremely popular on Vine, amassing over 6 million followers on the app. 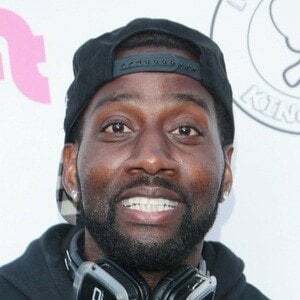 He has been nominated for a total of nine Streamy Awards and he received an Emmy nomination for his comedy series Caught The Series. He worked at a number of record labels, including Universal, and was also a notable triple jumper, once earning an invite to the Olympic Trials. He is the president and one of the founders of the streaming platform Zeus. He's widely successful on Instagram, with over 4.5 million followers. He has appeared on the YouTube series Epic Rap Battles of History as Mr. T and Kanye West. He was born in Arlington, Virginia, but originated from Baltimore, Maryland. He grew up with seven siblings. He has a son named Tayvion Power. He collaborated with Snoop Dogg on a parody of Snoop's single "Drop It Like It's Hot."